Out of all the numerous topping options at the salad bar, pick up a hard boiled egg. The fat in the egg yolk helps your body best absorb carotenoids, disease-busting antioxidants found in veggies, according to 2015 research in The American Journal of Clinical Nutrition. Count it as one more reason you should definitely eat the yolks. You don’t want to have to choose between the steamed veggie or fries as a side. Why not get them both? Pairing a nutritious and less-nutritious food choice (officially called a ‘vice-virtue bundle’) can help you stick to your health goals, suggests research in the journal Management Science. One tip to balance the calories—keep your portion of fries/dessert/onion rings small or medium, suggest researchers. If you can order only one size and it’s jumbo, ask for half to be packed upie immediately in a to-go box—or portion out half the plate for a companion. The researchers found that people didn’t actually want to eat enormous piles of treats anyway. Grilling is a quick and healthy way to get dinner on the table, no doubt. However, cooking meat at high temps (a la grilling) creates potentially cancer-causing compounds called heterocyclic amines (HCAs). The delicious solution: marinate your meat. Especially when you use certain herbs and spices in your marinade, including rosemary, it can reduce HCAs by up to 88 percent, according to a study from Kansas State University. Even though the buzz around heart-healthy fats like olive oil is good, you may still be trying to cut down on oil in an effort to save calories. But it’s time to start sauteeing your veggies again. ‘Vegetables have many fat-soluble vitamins, like A, D, E, and K, which means they need fat to be absorbed,’ explains culinary nutrition expert and healthy living blogger Jessica Fishman Levinson, MS, RDN, of Nutritioulicious. In addition to kale, make sure you cook carrots, sweet potatoes, and broccoli with a little fat too. Vitamin D is credited with so many health benefits, including boosting your bones, mood, and immune function. Many yogurts supply one-quarter your daily need for D per cup. To make the most of it though, toss some slivered almonds on top before digging in—especially if you’re eating non- or low-fat yogurt. The fat in the nuts helps raise the levels of D found in your blood 32 percent more compared to having no fat at all, reveals research in the Journal of the Academy of Nutrition and Dietetics. The fatty fish is abundant in vitamin D, while spinach offers magnesium. In 2013 research, magnesium was shown to interact with the vitamin to boost levels of D in your body. Long-term, this may even help reduce risk of heart disease and colon cancer. You’ve no doubt heard the buzz around the anti-cancer properties of curcumin, the molecule in turmeric that gives the spice its yellow hue. Problem is, it can be difficult for your body to absorb and truly reap the benefits. Combining turmeric with black pepper—which isn’t hard to do in cooking—is a great way to up your body’s ability to use it by 2,000 percent, research shows. 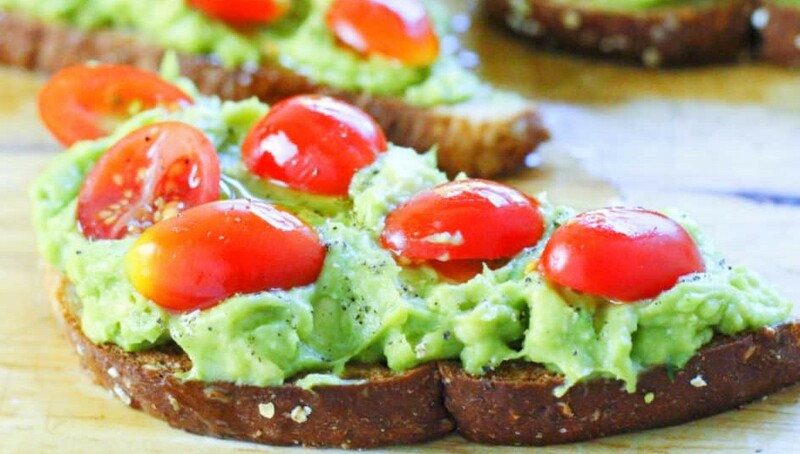 If you’re participating in ‘Toast Tuesdays,’ you might have tried the much-obsessed over avocado toast. And it is delicious, FYI. The foods are a perfect match not just for their taste but because the fat from the avocado will slow the rate at which carbs are broken down, absorbed, and converted into sugar, points out Levinson. It’s simple: just spread avocado on whole grain toast and top with some sea salt and pepper (and even lemon juice or hot sauce) and you’re good to go. Add a fried egg for an extra protein boost. Might as well pack more veggies into the sauce, right? Spinach contains iron, something you may need more of if you’re not eating meat (which is the most abundant source of the mineral). The catch? Iron is not easily absorbed from plant sources, so to tip the scales in your favor, you need to eat these plants with a source of vitamin C, according to Levinson. In this case, tomatoes provide the kick of vitamin C you need to best absorb your spinach. Try her recipe for tomato sauce with spinach, or opt for these other power duos: spinach salad with strawberries, beans and bell peppers, or tofu and broccoli. If you’re vegetarian, you may have heard that you should eat certain foods together to ensure you’re getting a complete protein. It’s actually more important that you get a variety of plant proteins throughout the day rather than in one specific meal, says Levinson. Still, some combos are classics for a reason—together, they form a complete protein. Try a brown rice and lentil bowl, beans wrapped in corn tortillas, or nut butter slathered on whole grain bread. Greens to the rescue once more! Vitamin D and calcium are typically found together in dairy, and for good reason: Vitamin D helps your body absorb calcium, both of which are critical for bone health, points out Levinson. But if you don’t eat milk or yogurt, what do you do? Buy salmon and eat it atop a bed of cooked greens of your choice (sauteeing them cooks them down, making it easier to eat a bigger serving). Here’s a reason to make a stir-fry tonight: Garlic and onion help increase the availability of iron and zinc in whole grains, according to Levinson. You can thank the sulfur-containing compounds within the stinky alliums (garlic and onion) for the mineral boost, say researchers. Think we’re getting one by you? If you have trouble getting yourself to drink plain H20, hear us out about why bubbles and water make an ideal match. One German study found that people who made carbonated water at home (think SodaStream), drank more water than those who didn’t—and bonus!—consumed less fat during the day, too. The spice does it again. Black pepper contains a compound called piperine, which may help improve the bioavailability of resveratrol (the disease-busting antioxidant in red wine) to tissues, suggests an animal study published in the journal Molecular Nutrition & Food Research. While it doesn’t seem like a natural pairing, simply drink a glass of vino with dinner, and keep the pepper mill handy. Bon appetit! When you give your cup a squirt of citrus, the vitamin C preserves green tea’s antioxidant catechins, helping them survive the harrowing journey through your digestive tract to where your body can absorb them—so you can reap the benefits from the brew—reveals Purdue University research. Pass the chips, please. This is another perfect example of how the antioxidants in certain produce, like tomatoes, need a little fat in order to be absorbed. In fact, a study in the Journal of Nutrition found that eating avocado with salsa improved the absorption of lycopene and beta-carotene in the tomatoes by 4.4 and 2.6 times, respectively. It’s the perfect excuse to go for Mexican tonight. When you think about it, trail mix makes lots of sense. Eating dried fruit and nuts together can help improve your metabolic health to help decrease your diabetes risk, suggests a review published in Nutrition Journal. Together, they supply fiber, vitamins, and minerals—and the fat from the nuts helps keep your blood sugar at an even keel. Try making your own custom trail mix instead of paying a premium for the pre-packaged kind. Categories: diet | Tags: absorption, antioxidants, calcium, carbohydrates, carotenoids, diet, fat, fiber, fruit, herbs, iron, minerals, nutrition, protein, sugar, vegetables, vitamins, zinc | Permalink. A large Canadian study is challenging conventional wisdom that says a low-fat diet is optimal for cardiovascular health and reduces the risk of premature death. The McMaster University study of more than 135,000 people in 18 countries found that eating a moderate amount of all types of fat is linked to a reduced risk of early mortality compared to the much-touted low-fat diet — while consuming a high-carbohydrate diet is associated with an increased risk of dying early. “Contrary to popular belief, increased consumption of dietary fats is associated with a lower risk of death,” said lead author Mahshid Dehghan, a nutrition epidemiologist at the Hamilton university’s Population Health and Research Institute. “Those with a high-fat intake, about 30 per cent of energy intake, had a 23 per cent lower risk of mortality and an 18 per cent lower risk of stroke, compared to the low-intake group, which had 11 per cent energy from fat,” Dehghan said from Barcelona, where she presented the findings Tuesday to the European Society of Cardiology Congress. Saturated fat is found in meat and dairy products, while monounsaturated fat is contained in nuts, avocados, and vegetable and olive oils. Polyunsaturated fat is found in walnuts, sunflower and flax seeds, fish, corn, soybean and safflower oils. Current global guidelines recommend that 50 to 65 per cent of daily calories come from carbohydrates, and less than 10 per cent from saturated fats. But Dehghan said that advice is mostly based on evidence from studies in North America and Europe. Cardiovascular disease is a global epidemic, with 80 per cent of the burden of disease in low- and middle-income countries. Diet is a key modifiable risk factor for cardiovascular disease, experts say. Dehghan said the healthiest diet would be made up of 50 to 55 per cent carbohydrates and 35 per cent total fat, including both saturated and unsaturated types. “We found no evidence that below 10 per cent of energy from saturated fat is beneficial — and going below seven per cent is even harmful,” she said, adding that a diet containing 10 to 13 per cent of energy from saturated fat was found to be beneficial. A diet that provides more than 60 per cent of energy from carbohydrates — one common among populations in China and South Asia — was associated with a 28 per cent higher risk of premature death, researchers found. “We’re not advocating an extreme diet,” agreed co-author Andrew Mente. “We’re not saying that people should go on a low-carb, very high-fat diet because we didn’t find any benefit with a very low-carb diet either. Mente, also a nutrition epidemiologist at the Population Health and Research Institute, was lead author of a second analysis from the PURE study presented Tuesday at the cardiology meeting. That paper — one of three from PURE published in The Lancet — found that eating three to four servings of fruit, vegetables and legumes per day reduces the risk of premature death. “And consuming higher amounts, pretty much you have the same level of risk,” Mente said from Barcelona. “There’s no added benefit with consuming more than four servings. Lower-income Canadians may also be unable to afford the five to 10 daily servings of fruits and vegetables recommended in the country’s Food Guide. Mente said the study also showed raw vegetables appear to confer greater health benefits than those that are cooked because of a loss of nutrients from being exposed to heat. With the federal government in the process of revamping Canada’s Food Guide, the research could be a timely addition to consultations on what Canadians should be eating, Mente suggested. Categories: carbohydrates, diet, longevity | Tags: carbohydrates, dairy, diet, fat, longevity, meat, nuts | Permalink. Your food and beverage choices can have a big effect on your energy levels throughout the day, an expert says. As our energy levels decrease because of our overstressed lifestyles, many people look for a quick fix to combat fatigue. Energy drinks mask the symptoms of fatigue and dehydrate the body. The majority of energy drinks contain excess sugar, high levels of caffeine and other stimulants. Relying on caffeine and energy drinks makes us feel worse in the long run by causing our system to crash. Continued fatigue decreases the immune system, making us more susceptible to depression and illness. So what to do? Exercise, sleep and reducing stress are important in fighting fatigue. But our eating habits also directly affect energy levels. And nutrition can affect energy levels throughout the day. The body needs water – multiple glasses a day. Being hydrated is an easy and inexpensive way to increase energy levels. You don’t need vitamin water or sports drinks; they only add extra unneeded calories. Keep a fresh water source with you at all times and drink throughout the day. Add lemons, limes or oranges for taste variety. This is the meal that sets the stage for the entire day. Studies show that breakfast helps keep you alert, starts your metabolism for the day and keeps you satisfied until lunch. But a healthy breakfast is the key. Good options include whole-grain cereals, breads, fruit and lean protein instead of doughnuts, pastries and white breads. A hard-boiled egg sliced into a whole wheat pita, oatmeal with fruit, and whole-grain toast with natural peanut butter are all healthy choices. Not consuming enough protein during the day can be a primary reason for fatigue. Protein-based foods provide the body with fuel to repair and build tissues. Protein takes longer than carbohydrates to break down in the body, providing a longer-lasting energy source. You can find protein in poultry, fish, lean red meat, nuts, milk, yogurt, eggs, yogurt, cheese and tofu. Carbohydrates are the body’s preferred source of fuel. Pick whole grains like cereal, brown rice and whole wheat bread, and avoid sweets, which cause energy to plummet. Many processed carbohydrates contain little to no fiber. Always read the nutrition label. If you let yourself get too hungry between meals, your blood sugar falls, and you get lethargic. Keep your blood sugar and energy level steady during the day by consuming snacks. Choosing the right snacks prevent peaks and valleys in energy. Combine complex carbs with a protein and/or fat for lasting energy. The protein and fat slow the breakdown of sugar into the blood, preventing fatigue. Snacks also can prevent overeating at mealtimes. A few examples of smart snack choices are yogurt with fruit, mixed nuts, veggies with hummus, pears with almond butter, whey protein shake or blueberries with a cheese stick. Plan ahead! Studies have shown that omega-3 fatty acids reduce inflammation, combat depression and improve mood and memory. Try to focus on omega-3 fats from food rather than supplements. Excellent sources include salmon, tuna, walnuts, flax seeds, leafy greens and hemp seeds. Almonds, walnuts and Brazil nuts are rich in magnesium, a mineral important in converting carbohydrates into energy. Other good sources of magnesium include whole grains and dark green vegetables. Skimping on calories decreases your metabolism and causes you to feel lethargic. Keep your energy levels high and increase metabolism by meeting your caloric needs each day. Whole foods are preferred over supplements to obtain protein, fiber, vitamins and minerals instead of one or two single nutrients. Consume a variety of foods for overall health but also to keep your energy levels high. Categories: energy | Tags: breakfast, caffeine, calories, carbohydrates, depression, diet, energy, fatigue, illness, magnesium, Omega-3, protein, sugar, water, whole grains | Permalink. 93 percent of North Americans eat too many refined grains, while only 7 percent eat enough whole grains in their diets. Refined grains do contain a substantial amount of starchy, or complex, carbohydrates, and they can provide the body with energy needed for exercise and for daily activities of living. However, if you are trying to eat a healthier diet, it is best to limit your intake of these refined foods. What is a Refined Carbohydrate? Refined carbohydrates are plant-based foods that have the whole grain extracted during processing. The process of refining a food not only removes the fiber, but it also removes much of the food’s nutritional value, including B-complex vitamins, healthy oils and fat-soluble vitamins. In many cases, food companies will then infuse, or enrich, the product with some of the nutrients that were extracted once the refining process is complete, but this does not always occur. Because refined grains often lack a desirable nutritional profile, the USDA recommends that only half of your daily 6 ounces of grains come from refined products. Many of the breads found on grocery store shelves are considered refined carbohydrates. These breads are often made from enriched and bleached flours, and these flours are typically listed as the first or second ingredient on the nutrition label. In addition, the list of ingredients will often include vitamins and minerals that are added during the post-refining, enrichment process. Sourdough, white and plain wheat bread are excellent examples of refined breads, whereas 100 percent whole-wheat or whole-grain breads are not refined. Like bread, some forms of rice are considered to be refined grains. White rice and most of the quick-cook rices are refined and, as a result, do not contain an intact grain. They may be enriched to enhance their nutritional profile, but they typically lack the fiber found in the non-refined brown rice. One cup of white rice counts as 2 ounces of refined grains. Many of the sugary, cold cereals found in grocery stores are considered to be refined grains. They are typically made from enriched flour due to the refining of their original wheat, corn or oat grain. Refined cereals typically have 2 or fewer grams of fiber per serving, and one cup of a refined cereal, such as corn flakes, counts as 1 ounce of refined grains. Unlike whole wheat or whole grain pasta, refined pasta lacks much of the fiber and the B-complex vitamins found in the unprocessed version. Like other processed starches, refined pasta may be enriched with nutrients such as folate, thiamin and riboflavin, and some versions of refined pasta may even have omega 3 fatty acids added during processing. Thus, if you prefer the less grainy taste of refined pasta, make sure that it has been fully enriched with the aforementioned nutrients. Snack foods are typically made with refined carbs such as bleached flours and sugar in order to increase palatability. These snack foods have little nutritional value and, as a result, provide empty calories in the diet. Cakes, cookies, pie, candy and chips are all examples of refined snack foods, and according to the U.S. Department of Agriculture, these foods should not constitute more than 120 to 330 calories per day. U.S. Department of Agriculture, MyPlate: What Foods Are in the Grains Group? U.S. Department of Agriculture: The US Grain Consumption Landscape: Who Eats Grain, in What Form, Where, and How Much? U.S. Department of Agriculture My Plate: How Many Can I Have? Dr. Courtney Winston is a registered/licensed dietitian, certified diabetes educator and public health educator. She holds a Master of Public Health from the University of North Carolina at Chapel Hill and her doctoral degree from the University of Texas Health Science Center. Dr. Winston was recognized in 2012 with the Academy of Nutrition and Dietetics Emerging Leader in Dietetics Award for the state of California. Categories: carbohydrates | Tags: carbohydrates, diet, nutrition, processed food | Permalink. Chips, chocolate, cheese. There are some foods we simply can’t get enough of. And turns out there’s good reason why we’re hooked. That bowl of M&Ms sitting on your office mate’s desk is a delicious temptation, a crunchy chocolatey treat that’s hard to resist. What we know is that chocolate is one of the most addictive foods around because it binds to the same pleasure centers in the brain as alcohol and certain drugs, according to a 2011 study conducted by Drexel University. It also boasts a nice “mouth feel,” which stimulates oxytocin production, another feel-good hormone, according to Dan DeFigio, author of Beating Sugar Addiction for Dummies. “Over time, our brains start looking for that dopamine hit, and every time we eat chocolate, it reinforces that ‘wiring,'” he says. You’ll feel less guilty munching on these next-level chocolates with added superfoods. Reach into that bowl of potato chips, tortilla chips, or pretzels over and over again, and you’ll know something is happening on the addiction front. And, while there’s no particular compound in these foods that bind to specific brain receptors to cause a euphoric, stimulating, or addictive behavior, there’s something else at play. “Simple carbohydrates are seen as ‘addictive’ because they cause a quick glucose release, and this quickly increases a person’s energy, says Celina Jean, a nutritionist in Austin, Texas. “This energy will quickly be used up, and then you’ll be forced to eat more simple carbohydrates to keep your blood sugar raised.” These are the silent signs you’re eating too many carbs. Not only do sugary sodas (also lemonade and sweet tea) provide us with very little nutrients, but one 12-ounce can contain a staggering 35 grams of sugar. Like sugary treats, soda can stimulate the release of dopamine too. Add caffeine and you’re getting a double-energy hit. “Once you’re hooked on caffeine, you can suffer symptoms of withdrawal if you try to stop, including sluggishness, headaches, and emotional distress,” says Mashru. Cravings for ice cream can be insatiable—it’s all about the sugar content and creamy texture, and researchers agree that foods like ice cream, which is basically cream and milk, stimulate the brain in the same way drugs do, inducing behaviors that resemble addiction, says Keri Glassman, RD, a dietitian in New York City. “The sugar ‘highs’ and ‘lows’ you experience are consistent with sugar ‘dependency,'” she says. “When your body gets used to sugar, you feel out of sorts when you consume less, which causes you to eat more.” Here’s how to crack your sugar addiction. Whether it’s the stringy salty mozzarella cheese, the fluffy dough or the sugar in the tomato sauce, pizza ranks first in food addiction, according to a recent University of Michigan study. That’s because when you eat it, your blood sugar zip up quickly and then when it drops, you feel hungry again and want more. These are the healthier pizza crusts that won’t blow your diet. Categories: addiction, diet | Tags: addiction, carbohydrates, cheese, chocolate, comfort, diet, dopamine, french fries, ice cream, pizza, pop, soda, sugar | Permalink. Wolfgang Puck is a famous chef and restaurateur that was born in Austria. As a foreign-born food expert, Puck is knowledgeable in regards to the prolific presence of processed food that is unique to the United States and other countries. He is one among many experts that testify to the harmful nature of food that undergoes processing. As a reference, processed food is defined as “any deliberate change in a food that occurs before it’s available for us to eat.” This rather ambiguous definition doesn’t identify what makes some (not all) processed foods harmful. Mechanical processing – the physical actions required to grow, harvest and produce foods – doesn’t alter the nature of food and isn’t harmful. Chemical processing – altering the chemical makeup of foods through additives and other artificial substances – can indeed be harmful to one’s health. Artificial substances include sweeteners, preservatives and other elements. The inherent risk of such substances is a public safety concern in many countries, and for legitimate reasons. Foods that contain sugar essentially contain empty calories. In other words, these calories provide no nutritional value. Studies have shown that these empty calories can have a harmful effect on the metabolism and cardiovascular system. The diabetes epidemic also strongly correlates with sugar consumption. Corn syrup, particularly of the high fructose variety, has been found to increase the risk of heart disease, cancer, obesity, dementia and liver failure. Many ingredients listed on the labels of processed foods cannot be properly read. This is because these ingredients are chemicals, and most chemicals have unpronounceable names. Many additives and preservatives contribute to potentially harmful physical effects, from common fatigue to heart disease. Refined carbohydrates are sugars and starches that have been modified (refined). The problem is that this refinement process empties the food of its nutritional value, including its fiber content. Of course, many sugars and starches contribute to a number of adverse health conditions. The processing of food often empties the food of its nutritional value. Even though many of these foods are infused with synthetic (read: artificial) nutrients, the quality of nutrition derived from such is far superior compared to whole, unprocessed foods. Fiber has many different roles to play in the development and maintenance of a healthy body. Primarily known to aid digestion, fiber also helps to: produce healthy bacteria, slow the absorption of carbohydrates, and create feelings of satiety. Because of the chemical makeup of processed foods – absence of fiber, nutrition, satiety and sustenance – our digestive system and metabolism operate poorly. The cumulate effects result in more food consumed and less food energy expended. In other words, we eat more stuff and burn less fat and calories as a result of eating processed foods. To grow and harvest GMO’s (Genetically Modified Organisms), farmers must use pesticides and herbicides to preserve the area where they are grown. Often, these pesticides and herbicides will penetrate both the soil and the crop itself. Needless to say, chemicals designed to eradicate insects and vegetation are not well-received by the human body. These chemicals have been linked to an assortment of functional and developmental problems, including cancer. Various studies have shown that artificial ingredients such as processed flours, vegetable oils and refined sugars can cause or worsen cases of inflammation. Inflammation has been linked to a variety of maladies including dementia, respiratory problems and neurological disorders. Hydrogenated oils such as vegetable oil often contain an excessive amount of Omega-6 fatty acids, which has been linked to inflammation and oxidation issues. Studies have demonstrated that these substances carry and increased risk of heart disease. Categories: diet | Tags: artificial colors, artificial flavors, artificial sweeteners, carbohydrates, chemicals, diet, fiber, inflammation, pesticides, sugar, trans fats, vegetable oil | Permalink. With the many winter holidays upon us, one of the great challenges is maintaining a healthy diet. Choosing healthier options helps many of us ward off extra pounds, but for those with cancer it is crucial to overall health. If you are undergoing cancer treatment, such as chemotherapy or radiation, you need extra nutrients to help maintain your energy and keep you feeling strong. Even if your appetite has waned, you still need to make good food choices that fuel your body and help you heal. Knowing what to eat and what to avoid can make the holiday season a healthy one for you. Follow the guidelines below to increase your intake of cancer-fighting nutrients, and keep you feeling your best this holiday season. Fill one-fourth of your plate with complex carbohydrates. Carbohydrates are essential nutrients because they provide energy for body and brain. Good sources include whole grains (like oats, barley, farro, millet, and buckwheat), fruits, vegetables and beans. They also provide phytonutrients that offer cancer-fighting benefits and fiber to keep you fuller longer. Start by adding extra veggies to side dishes. Switch to whole-grain flour for baking your favorite holiday treats, try a bean dip or hummus with veggies as an appetizer, and include fresh fruits for dessert. Choose healthy fats. Fat has been given a bad rap, but all fats are not equal. You want to avoid or limit saturated fats (the ones found in animal products like butter, cheese, and red meat) and trans-fatty acids (those that have been hydrogenated — often found in packaged foods and baked goods). Unsaturated fats are the good ones — olive oil, nuts, seeds, avocado, and fatty fish. Include protein at every meal. Protein is important for healing during and after treatment. It also is essential for maintaining strength and energy. Choose a variety of plant sources, such as nuts and nut butters, seeds, beans, legumes, and soy. Good sources of animal proteins include grass-fed beef, free-range poultry, wild-caught fish, eggs, and low-fat dairy. Emphasize “Seasonal” Superfoods. Superfoods are the superheroes of nutrition —many are rich in antioxidants, vitamins and minerals to help you heal and reduce inflammation, thus reducing your risk of chronic diseases and promoting cancer survivorship. Many superfoods are popular during the holidays — such as cruciferous vegetables (kale, spinach, broccoli, cabbage, cauliflower), beans and legumes, citrus, sweet potatoes, nuts and mushrooms. Fresh cranberry sauce with orange and sweetened with agave or honey is an ideal choice to include in your holiday meals. Try adding antioxidant-rich pomegranate seeds to a kale salad for a festive starter, or warm up with pumpkin or butternut squash bisque. Sweet potatoes, baked or mashed, with a drizzle of pure maple syrup and a sprinkle of cinnamon, make a healthy and delicious side dish. Green beans sautéed with mushrooms and red bell peppers, steamed broccoli with lemon zest and garlic, and roasted Brussels sprouts caramelized with balsamic vinegar are all foods to fill up on. And if you’ve saved room for dessert, top a scoop of vanilla ice cream or yogurt with blueberries or raspberries and a sprinkle of cacao nibs. Looking for something decadent? Bake an apple with cinnamon and nutmeg, and top it with chopped almonds or walnuts and maple syrup. Remember: it is OK to have small portions of your favorite holiday foods, but fill most of your plate with a variety of plant-based foods such as colorful fruits and vegetables, whole grains, beans, and nuts. Make a conscious effort to focus on healthy options this holiday season that will keep you strong and help you fight cancer. Learn more about the Nutrition Services at the Mass General Cancer Center. This post is a sponsored collaboration between Massachusetts General Hospital Cancer Center and Boston magazine’s advertising department. Categories: cancer, diet | Tags: cancer, carbohydrates, diet, fat, inflammation, portion control, protein | Permalink.